Two pro ultimate games - both AUDL playoff games - were played this past weekend. See past data. NOTES: AUDL games have 12-minute quarters. [AUDL] The playoff game on Friday, July 26 in Wildwood, New Jersey was the first game of the 2013 season played at a neutral site. [AUDL] Both teams that placed 2nd in their conference beat the 3rd place teams. (Radicals, 18 over AlleyCats, 15; Empire, 21 over Phoenix, 13). [AUDL] With their playoff wins, Empire is 4-0 against Phoenix; Radicals are 4-0 vs AlleyCats. [AUDL] 20.5 scores = average per game by Empire (16 regular season games); average per playoff game by Empire = 21 scores (1 game). [AUDL] 13 = scores by Phoenix in their playoff loss; the lowest amount scored since their June 2nd loss versus Dragons. [AUDL] In 17 games played, Radicals are 3-1 in games when they score less than 20 in a game. [AUDL] 15 = scores by AlleyCats in their playoff loss, the lowest amount scored since their April 27th loss versus Wildfire. [AUDL] With the loss by AlleyCats - the reigning Conference champs, a new (Mid)Western Conference champion will be crowned. [AUDL] AlleyCats have played the most post-season games (3) of any AUDL team; their record = 1-2. [AUDL] The remaining AUDL playoff teams - Madison Radicals, New York Empire, Toronto Rush, Windy City Wildfire - are all 1st year teams. Here's are some 2013 USA Ultimate World Games Team highlights. I know, the video quality is not awesome, but the clips are! So, watch. In their 5th game versus Great Britain, Mac Taylor throws a backhand into the endzone. Mike Natenberg jumps up for the catch, tips it and then catches the score with a layout. This one is Natenberg throwing the Greatest, versus Japan. Mac Taylor's fakes lefty, then throws righty for George Stubbs' layout catch score. The last time USA won the gold medal (in 2009), ESPN mentioned them on their Top 10 Plays of the Day. Back in August 2012, I posted a batch of improvements for the original professional Ultimate league. The same criteria is used to evaluate Major League Ultimate. Marketing. Promos had a consistent look/feel about them & were supplemented with the help of UltiPhotos. Most team logos received a high grade. Contact more sports channels than just ESPN. Congrats on being featured on SportsCenter's Top10 multiple times, and full games replayed on The Comcast Network (TCN). Watching the live games & the archived games via YouTube is very convenient. Add a video recap of weekend games. The full game videos look great in hi-def; though, a more condensed version of game recaps would have been superb. Plays of the Week act as good exposure for the league, and thus, the sport. More sponsorship on jerseys. Sure, each team had a sponsor on their kits. However, the sponsors dominated the jerseys and may have hurt team branding. Is it the DC Current or the DC Waveborn?? Detailed standings. Standings were easily viewable on the MLU homepage & on each team's website. Furthermore, the player stats (points, goals, assists, throws, completions, catches, defense, stall, drop, bookend, Callahan, Greatest) were a nice feature to track on a per-game basis and throughout the season. Also, Injury Reports were, umm, very specific. Track "Spirit of Sportsmanship" Rule. Unfortunately, no such data were kept. Tracking occurrences of players & coaches patting their heart with their right hand would be a boost to SOTG preservationists. Interview preparation. Most MLU mentions published quotes from MLU executives which limited any player gaffes. Still unclear is why a player gag order was limited to one media source (Ultiworld), but not another (The Washington Post)? BOO! Timing. Ten (10) weeks of season seemed just about right, plus the post-season finely straddles the Club season. Update websites regularly. New content and game updates were posted on an impressively consistent basis. Define THE Ultimate jersey. Well done. The 3/4 sleeve is the distinct feature for MLU's pro Ultimate team jersey. Of note, jersey replicas were not offered for sale. For what it's worth, the shorts look way too baggy for these trim athletes. Add field players. Consider adding one more for 8 players to be on the line. True, 7 is so traditional, but the quick MLU game could benefit from more defense with 16 total players for this action-packed sport. Modify end zones. I'm all for use the existing football field dimensions. The problem area is the MLU endzones which are twice as big as the designated football endzones. Twenty (20) yards is a lot of space to defend against, plus it looks strange on the video when a player "scores" before the endzone. Use the existing 10 yards of designated endzones just like you are using the current sidelines. Announce Beneficiaries. The intention of "spreading the wealth, one outstanding play at a time" was supplanted with "RT this amazing play #SCTop10" please. State which organizations - especially Ultimate-related entities - that benefited from the weekly player bonuses; otherwise, the goodwill appears as lip service. While you're at it, proudly publish the donation amount for how much MLUcares. Limit Player Absences. Not counting player injuries, there seemed to be a lot of "Approved Absences". This type of information is disappointing to learn 1-2 days before a game. Remember: when you sell game tickets, you're retailing sports entertainment. And, watching a game without its star player(s) loses its luster. MLULive: The video quality is quality and the $0 price tag can't be beat.There's room for improvement in the game announcing, especially the awkwardness of sideline reporting. Besides adding more cameras, the wide angle camera perspective should be in the direction of those in attendance; otherwise, it appears that no one is in attendance at the games (EXAMPLE: Fans vs NO Fans). Congratulations on completing your inaugural season, MLU! Looking forward to 2014. 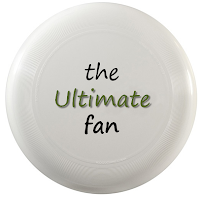 NOTE: I'm first & foremost a fan of Ultimate. I attended multiple MLU games (in DC, SF & Philly) and followed the 2013 season. These suggestions are meant as constructive feedback to aid the sport. 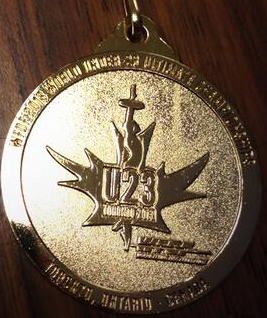 The week-long Under-23 international Ultimate tournament ended on Sunday, and the US teams won gold in all 3 divisions. On top of their winning performance, all 3 USA teams went undefeated; 30-0, collectively. 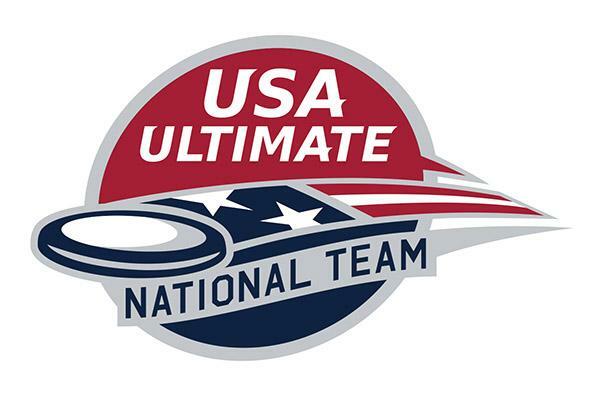 Good luck to the USA Ultimate National Team who begin their five "Flying Disc" (Ultimate) game schedule at The World Games 2013. Teams are mixed and games will be played 4:3. After a 5-0 record in pool play, the USA Ultimate National Team won the gold medal versus Australia. 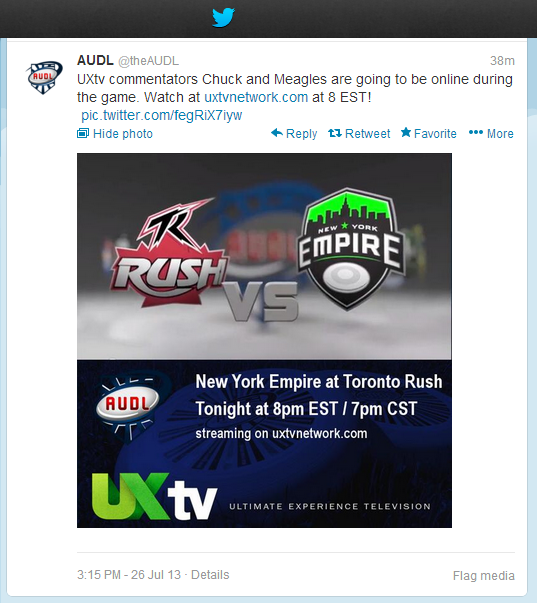 After meager promotion of their playoff weekend, the American Ultimate Disc League tweeted this embarrassingly incorrect promo featuring the Rush playing the Empire, instead of Phoenix vs Empire. Not to mention the timing is wrong (should be 7pm ET). UPDATE: The promotion is actually correct! 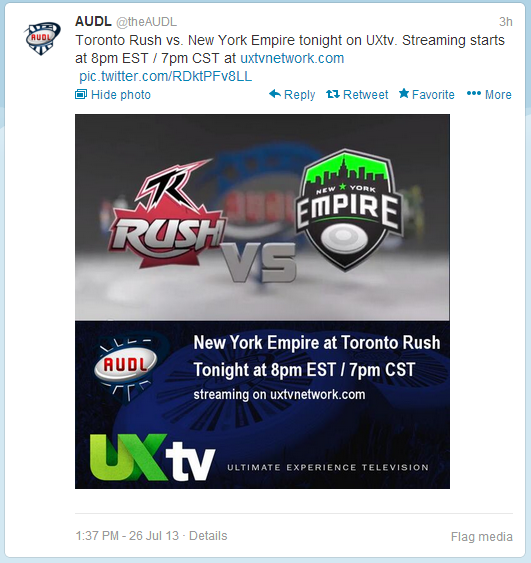 For some reason, AUDL is playing a rerun of the Toronto Rush vs. New York Empire game tonight on UXtv concurrently during the live Empire vs. Phoenix playoff game. The AUDL's scheduling of this game rerun is very perplexing considering the stakes of tonight's playoff game. Two post-season professional Ultimate games this weekend. Betting lines - the spread & points total (Over/Under) - for professional Ultimate are for entertainment purposes only. 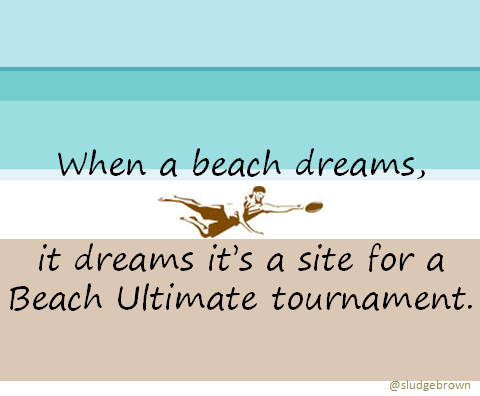 it dreams it's a site for a Beach Ultimate tournament. USA Ultimate's 2013 Masters Championships are scheduled for July 26 - 28 in Denver, Colorado. There are 16 Masters Open (33+ years old), 16 Masters Women's (30+ years old), and 16 Grand Masters teams (40+ years old) who won their Regionals to compete for the 2013 championship. This is the first year where Grand Masters, Masters and Women's Masters all play at one national championship event. As Randy Ricks said, "Welcome to the future of age-segregated ultimate." 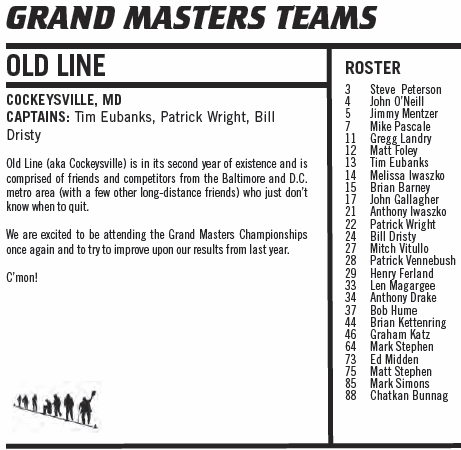 Based on a quick glance of the program, Old Line is the only Grand Masters roster with a woman. Also, good luck to Henry! AUDL Playoffs begin this weekend with the #2-seed playing the #3-seed in each conference. The Eastern Conference playoff game is being played at a neutral site as the Empire have a 6-game winning streak at home. In the Midwest, AlleyCats travel with their winning road record to face the Radicals who have lost only once at home & won 6 consecutive games to end the season. The winning teams play for the conference championship (& a $5000 prize) the following week. Friday, July 26 @ 7pm ET in Wildwood, NJ. Live-stream by Ultiworld. Empire won all 3 meetings (June 9, 15 & 22) against Phoenix by 1 score, 4 scores, 1 score, respectively. Saturday, July 27 @ 12pm ET at Breese Stevens Field. 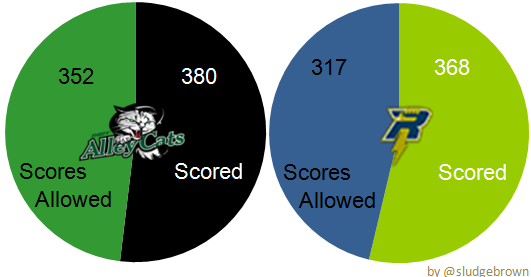 Radicals won all 3 meetings (June 6, 16 & July 14) against AlleyCats by 2 scores, 4 scores, 2 scores, respectively. 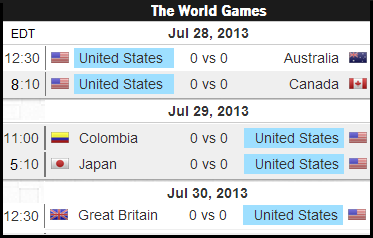 The 2013 World Games kick-off today in Cali, Colombia, South America and runs through August 4th. The "Trend Sport" of Ultimate Frisbee, er "Flying Disc," features six mixed teams from Australia, Canada, Colombia, Great Britain, Japan & the United States. 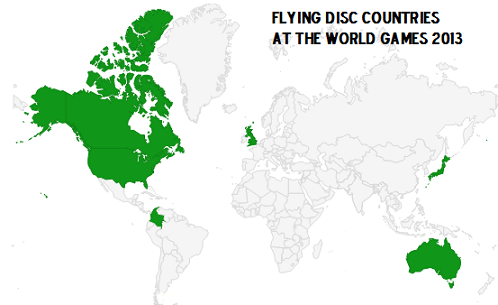 Flying Disc joins other mixed (coed) team sports including Orienteering, Korfball and World Archery, on display at TWG. 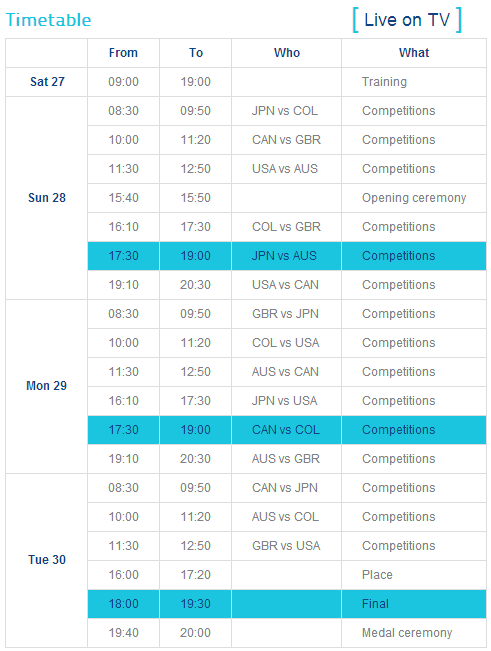 The 6 competing countries begin their 5-game, 3-day schedule on July 28. View the live-stream channel, or HERE. Colombia's time zone & weather. All 17 games were crowd$ourced by Ulti.TV to be live-streamed. Move over Joel Silver. Step aside Columbia High School. Based on a recent posting, Jared Kass does not take credit for naming the sport, but Kass does think he invented the basics rule for Ultimate. William (Willie) Herndon sums up Ultimate's origins with: "The sport was conceived at Amherst, its DNA more or less complete, gestated at Northfield Mount Hermon, and birthed at Columbia High School." 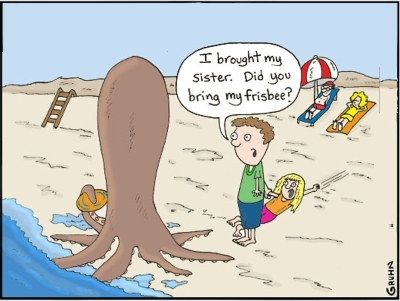 Good luck to all teams playing in the "World's biggest Beach Ultimate Tournament" Wildwood over July 27-28 in New Jersey! As a follow-up to the Top Money Earners in the MLU, here are how teams fared in Major League Ultimate's weekly recognition. NOTES: There were 2 Plays of the Week - 1 offensive, 1 defensive - recognized during the 10-week season and the conference playoffs week. The Offensive play was sponsored by Waveborn. No New York Rumble player ever won a 'Play of the Week' bonus. Weekly winners earned a $100 bonus. 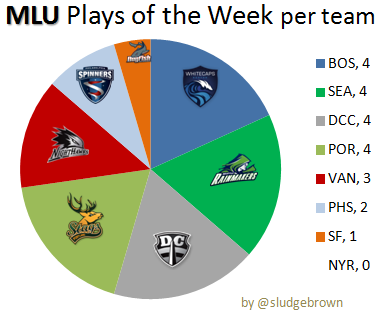 Week 4 was the only time one team swept the 'Plays of the Week'; by Portland Stags. NOTES: Jeff Graham [Boston] was the only 2-time winner. 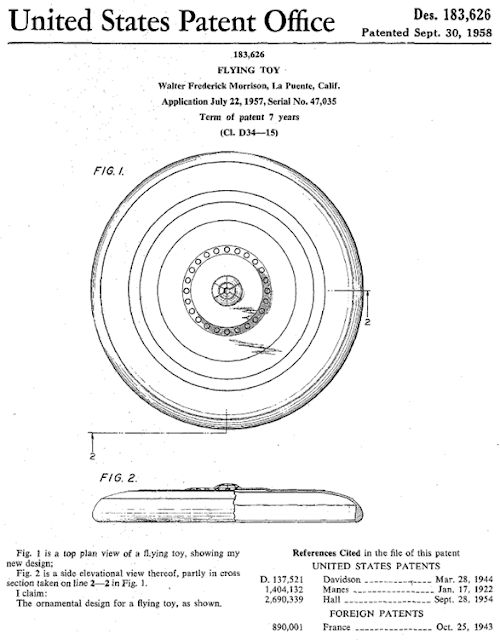 Neither Dogfish nor Nighthawks won a Friction Glove's "Catch." Weekly winners won a pair of Friction Gloves. MLU's Eastern Conference won 72.7% (8/11) Friction Gloves 'Catch of the Week'. 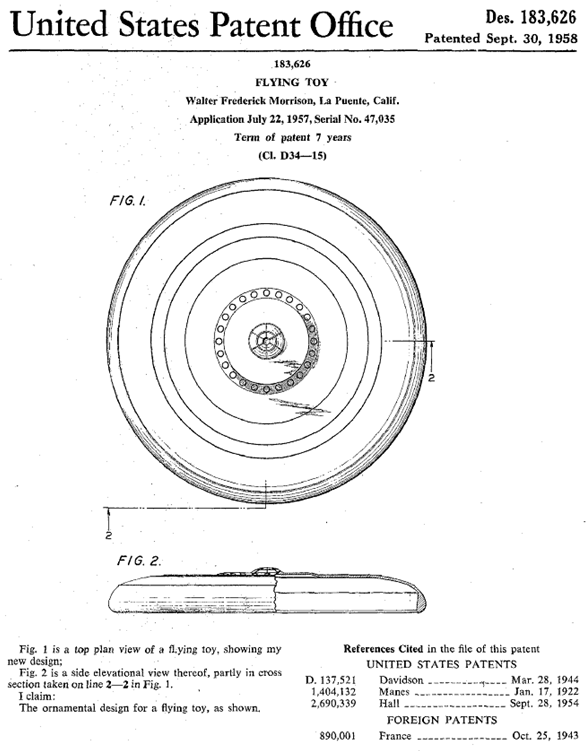 On this date in 1957, Walter 'Fred' Morrison filed a U.S. Design Patent application for a "Flying Toy" (aka Frisbee). 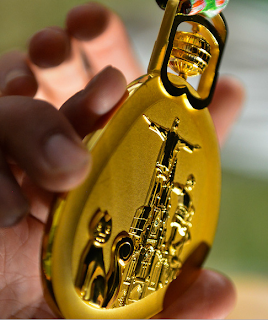 At the 2010 inaugural WU23 event in Firenze, Italy, 31 teams from 17 countries participated. Results from 2010. Follow the 2013 game scores via Ultiapps. Purchase online game streams via NGN. The 2013 U.S. teams are ranked as #1 in Open, and #2 in both Women & Mixed. A compilation of MLU's award money per team representation, plus a list of top MLU player earnings, during their April - July 2013 pro Ultimate season. NOTES: Plays of the Week bonuses, MVP earnings, & playoff winnings factored into totals. In Week 2 & Week 3 there were co-winners for the Offensive Play of Week, so the $100 bonus was figured to be $50/player. Player's per-game pay was not included in team totals. Not all MLU players are listed, only the ones who won additional monies. 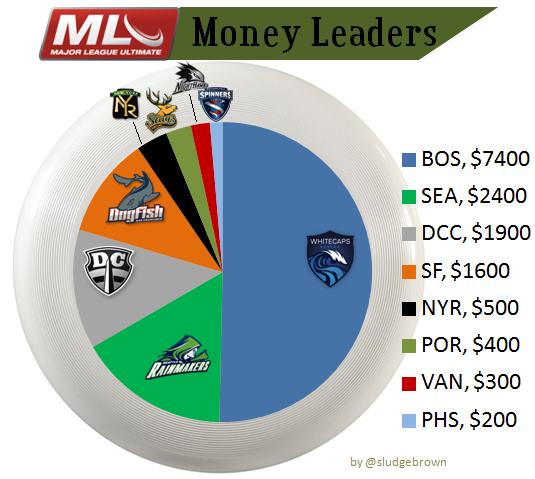 Boston players earned an extra ~$217 for their playoff appearance+ winning the 2013 MLU. Other playoff teams earned ~$50 bonus. Seven pro ultimate games were played this past weekend. Compare to last week. 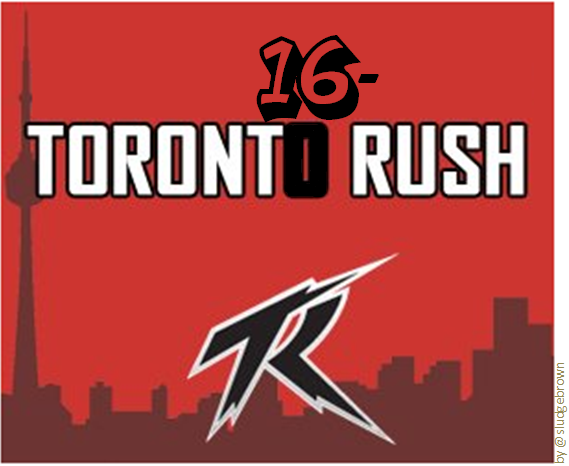 [AUDL] 16 = consecutive wins by Toronto in the Eastern Conference. [AUDL] 6 = # of times Rush had 30-or-more scores in a game, including their 40-score game. [AUDL] 6 games = winning streak for Radicals. [AUDL] Radicals (13-3) are 6-3 in games decided by 2 scores or less. [AUDL] 6 games = winning streak for Empire (11-5) at home. [AUDL] Hammerheads (2-14) went winless in away games, going 0-8 on the road. 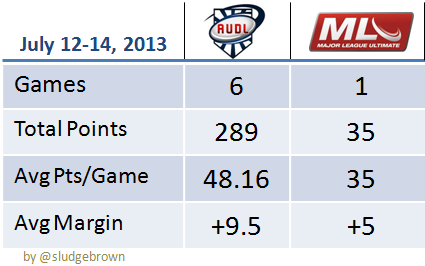 [AUDL] 57.2% = winning percentage of home teams in the 2013 regular season; (55-41). MIDWESTERN: Indianapolis AlleyCats @ Madison Radicals. [AUDL] AlleyCats (9-7), the only returning AUDL team with a winning record, clinched a playoff spot for the second consecutive year. [MLU] Boston Whitecaps beat San Francisco Dogfish 20-15 to win the inaugural MLU Championship. [MLU] The MLU Championship on July 13 was Major League Ultimate's first-ever inter-conference game. [MLU] 20 scores = lowest score total for Whitecaps since Week 1's 19-16 win vs Rumble. [MLU] 15 scores = lowest total by Dogfish since Week 1's 14-11 win vs Stags. 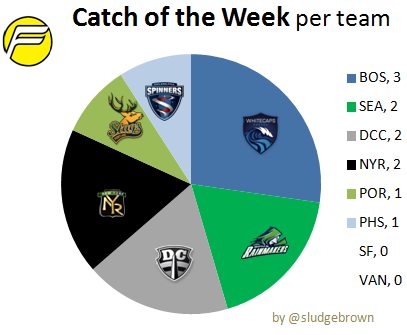 [MLU] 5 scores = largest margin of defeat by Dogfish. [MLU] The Dogfish played in the very first MLU game (win), MLU's first playoff game (win), & MLU's inaugural Championship game (loss). 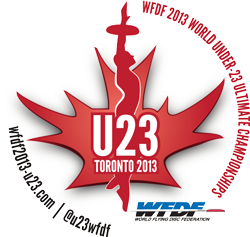 The 2013 World Games are scheduled for July 28-30 in Colombia. Ultimate, or rather "Flying Disc" games, will be featured, but with limited video recording of the games. As a result, the Ultimate community has started funding for the broadcasting all the games. Info: If the fundraiser is successful ALL 17 games will be broadcast LIVE on the World Games website for FREE for everyone to watch! If unsuccessful, only 3 games will be shown including the finals on July 30. UPDATE: The fundraising goal has been met. Any additional monies will be given to WFDF. The free MLU Championship poster given to the first 100 attendees. 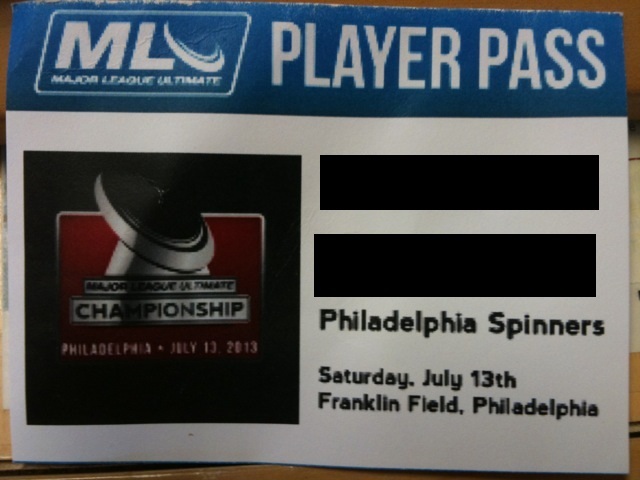 MLU Player Pass: Access to pre- & post-game events, & good seats to the game. A rainbow appeared shortly after Jeff Graham was taken to the hospital from Franklin Field. Detail: "MUFFIN #13 Have fun throwing this!" 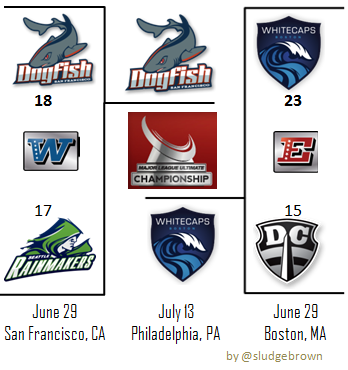 On Saturday, July 13th, Boston Whitecaps beat the San Francisco Dogfish to claim the inaugural MLU Championship. San Francisco - as the underdogfish - played well, but lost 20-15. The victory was Boston's 12th consecutive win and Whitecaps a perfect MLU season (12-0). 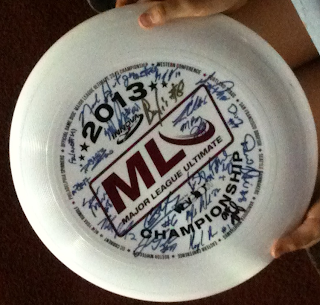 View pictures from the MLU championship game. + After winning, Whitecaps players tossing the metal disc - from the trophy - like a Frisbie pie tin. + The post-game hugs between MLU execs Skip Sewell, Jeff Snader, Nic Darling. My camera failed me, but imagine: relief, accomplishment, & pride manifested into a hug (kinda like this). + The ice bath dousing of Boston coach Jason Adams during the trophy ceremony. + Players signing autographs, especially Brandon "Muffin" Malecek autographing Innova Pulsars. + Dogfish players excitedly throwing all their extra Pulsars into the crowd as if showering the fans with plastic disc kisses. + Not having Dogfish mascot, Dougie, at the game. When asked about the whereabouts of their mascot, a SF staffer replied,"It's an expensive plan ticket." + Entertainment in-between quarters was amateurish and out of sync with the game's supposed professionalism. + Player injuries for both teams. After Jeff Graham was taken away by ambulance, Boston staffers seemed a bit frantic trying to figure out how someone from the team could travel to the hospital in order to accompany their injured player. + Stadium security asking fans to leave the stadium a few minutes after 9PM - 15 minutes after the game ended. Don't disappoint these young fans. 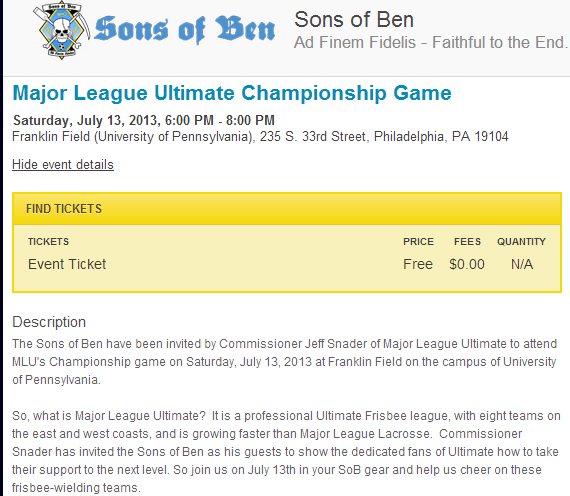 During the two week lead-up to the Championship Game, so many discounts were being thrown around by MLU, it was unlikely anyone paid for a full-price ticket ($15). MLU Commissioner tweeted there were 2000+ attendees. No word on how many of those attendees were "paid attendance." At the opening pull, I estimate the crowd was at 1,500; though, there was a stream of people still entering the 52,000-seat capacity Franklin Field during the 1st quarter. There was one group of game attendees wearing soccer scarves, hanging soccer flags and showing semi-interest in the frisbee game. What I discovered was the Sons of Ben - a regional soccer promotion group - were offered free tickets to the game. 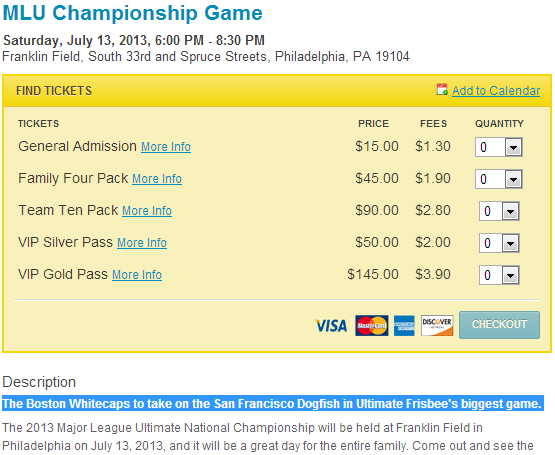 There were more fans representing Boston Whitecaps than for San Francisco Dogfish. A fair contingent of MLU players were also present, especially from Philadelphia Spinners. The crowd politely clapped after each team's scores. Attendees sounded the loudest when free merch (discs, t-shirts) were being thrown into the stands, and started chanting "hammer, hammer" during a toss-and-catch event after the first quarter. Otherwise, the crowd was mostly neutral, just trying to stay cool on a humid Philly night. The game was live-streamed via MLULive. As of today, there were 5902 views of the final video. 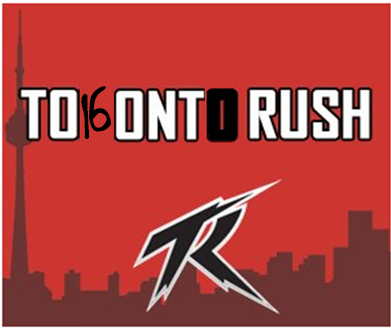 Congratulations to the Toronto Rush on their undefeated regular season - winning all 16 games in the AUDL East Division. Seven scheduled professional Ultimate games this weekend. 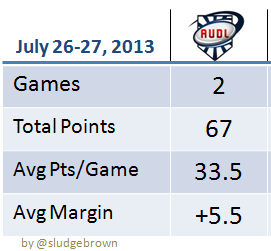 This is the final week of AUDL's 2013 season. The MLU's Championship game is at 6pm on Saturday. Betting lines - the spread & points total (Over/Under) - for professional Ultimate are for entertainment purposes only. On Saturday, July 13th, Major League Ultimate will host its first-ever championship game, featuring a matchup between Western Conference Champion San Francisco Dogfish and Eastern Conference Champion Boston Whitecaps. 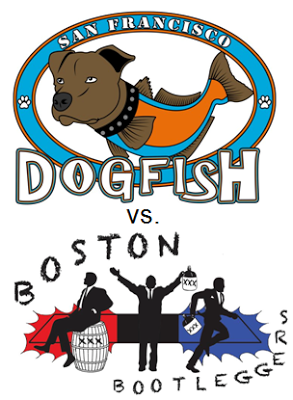 This game is being billed as "The Boston Whitecaps to take on the San Francisco Dogfish in Ultimate Frisbee's biggest game." For an incredibly in-depth game breakdown, read this. Boston is 5 hours (309 miles) away from Philly by road. San Francisco is 6 hours (2,875 miles) away by air. The 2013 Ironside roster features 12 Whitecaps players; the 2013 Revolver roster lists 14 Dogfish players. Just last week, these club teams squared off in two "extremely close games (level on aggregate)" in Raleigh, NC. Apart from USAU vs MLU variations, a noticeable difference is that the Dogfish will be playing without some star players. Watch the game on MLU Live stream (free), or buy a ticket to attend in person. Saturday, July 13's forecast has a little wind, plus a fair chance of rain during the day and in the evening. 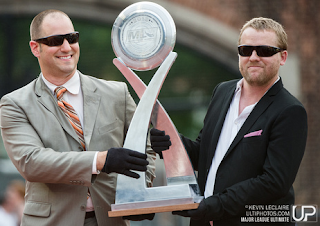 The team who wins the MLU Championship will earn $5,000. By making the playoffs, each team has already won $1500. If curious about the exact timing - down to the second - of when Saturday's Championship game at 6PM will begin, go to the MLU countdown clock. What is Wham-O marketing in Virginia convenience stores? The unofficial beginnings of Ultiworld can be traced back to July 11, 2012 noted as "This article is the first effort of Ultiworld, a new Ultimate disc news organization that will be launching soon." 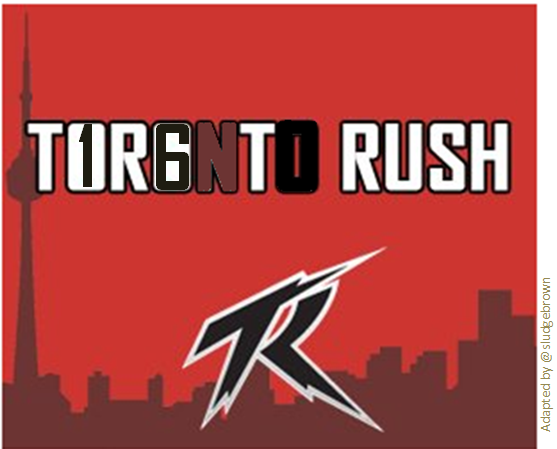 The official launch of the site was July 14, 2012. Since that time, Ultiworld has given Ulti fans plenty of amazing coverage via facebook, twitter, tumblr, video & podcast. Happy 1-year anniversary...& many more! The increased exposure of the sport of ultimate is great for existing ulti fans, as well as new ones. Besides the (semi-) pro teams, most teams are still self-supporting. 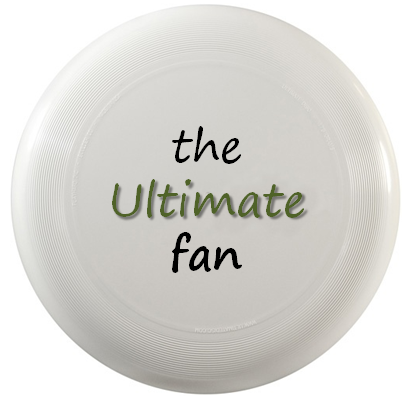 Here's how you - as an Ultimate fan - can support your favorite ultimate team(s). Stay Connected. Follow via all the social media outlets as a Facebook friend, twitter follower, YouTube subscriber, etc. Sign-up for their newsletter. If offered, this communication may yield some great "insider" information, and best of all, it's sent directly to your inbox. Join the team's "fan club." These are great (usually unofficial) groups to watch a game with since they're already engaged to the team. If your team doesn't have one, wait for one to form or start one yourself. [Examples: DC's Breeze NUTZ, San Francisco Pilot Fish]. Buy team merchandise. You could snag an official jersey, disc &/or other team logo swag. A portion of sales may go back to the team; plus you become a walking billboard for your team while showing team pride. Check your team's website for an online store/merchandise link. [Examples: Bay Area's Nightlock, Boston Ironside, Seattle Sockeye]. Support team sponsors. Take note of any team's sponsorship(s) and patronize their business. While there, tell them you learned of them through this ultimate connection. Attend games. Cheer your team on at their games If there are ticket sales, buy a ticket to watch your team in action; a portion of sales typically/should go back to the team, or off-set any field costs. Buy team merchandise at the game. Avoid any shipping fees and grab some team swag. Again, a portion of sales may go back to the team. Buy concessions at the game. Forking over some extra bills for over-priced drinks or food is helpful. Depending on the setup, a portion of sales may go back to the team. Be a fan during the game. Learn some tips via this Guide & other recommendations. Be a fan after the game. Ultimate players are pretty social folks, so congratulate your team's players after the game. Consider asking for an autograph, even! Spread the word. Post your experience(s) on social media by mentioning your team. Volunteer. Ultimate teams have lots of moving parts, so you can assist by being their statistician, store manager, web guru, team tweeter, or some other non-game-day role. Being a volunteer aids them so they can focus on competing. 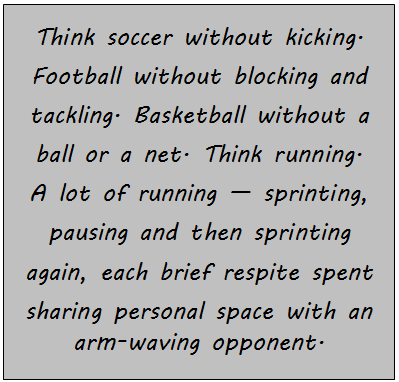 "Think soccer without kicking. Football without blocking and tackling. Basketball without a ball or a net. Think running. A lot of running — sprinting, pausing and then sprinting again, each brief respite spent sharing personal space with an arm-waving opponent. No, Ultimate isn't always that intense. In many settings it's a social interaction of laughter and lightness. It is ping pong. What they're playing at Franklin Park, by that standard, is tournament table tennis. Except that in this case, the "ball" can float through the air with the grace of an eagle ... into the fingers of a diving player with grass-stained knees."